This section of the Track is the longest at 14.2km, and estimated to take 6 hours. As always, this is just a guide. 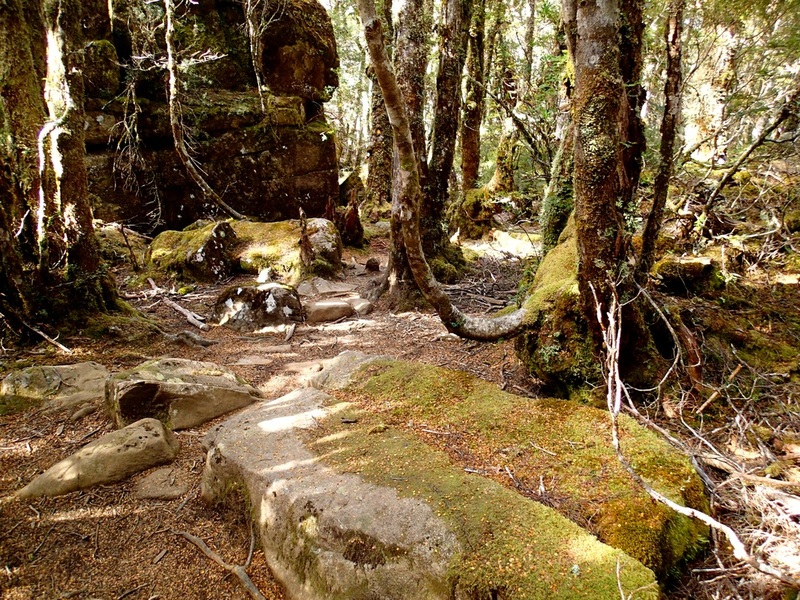 The walk is going to take you through moss covered forests, open moors and views of Mt Ossa, (Tasmanias highest), Mt Pelion East and Mt Oakleigh. 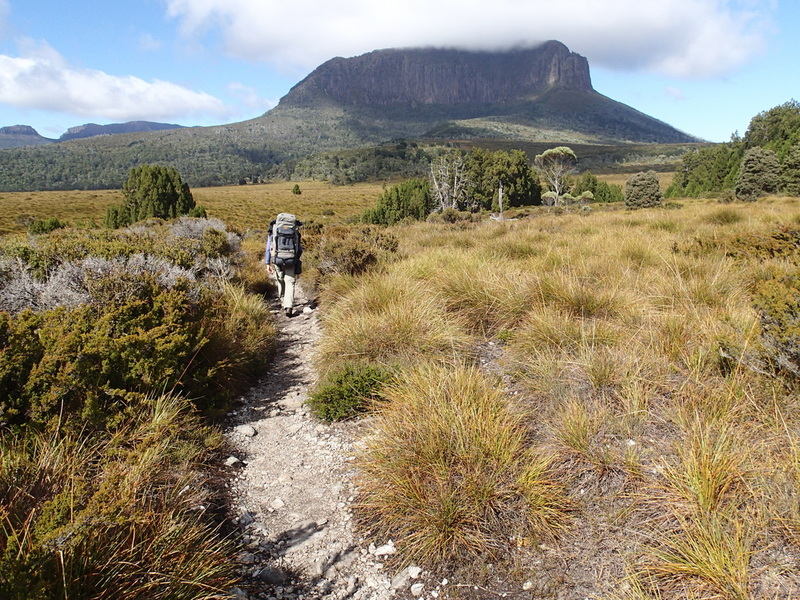 This part of the track is also encompassing the lowest part of the Overland Track (Frog Flats), at 720m above sea level. The forests will provide you with plenty of shade, though the constant climbing over roots and watching your step is a constant challenge. Someone on my walk, fell over a tree root and only had the use of one eye for a few days. Hiking poles definitely help with this sort of terrain. These moss filled forests, are very picturesque, and hard not to take a lot of photos of them! Some people use the forest as an overnight rest stop to shorten the day. If so, remember to leave no trace of your camping. 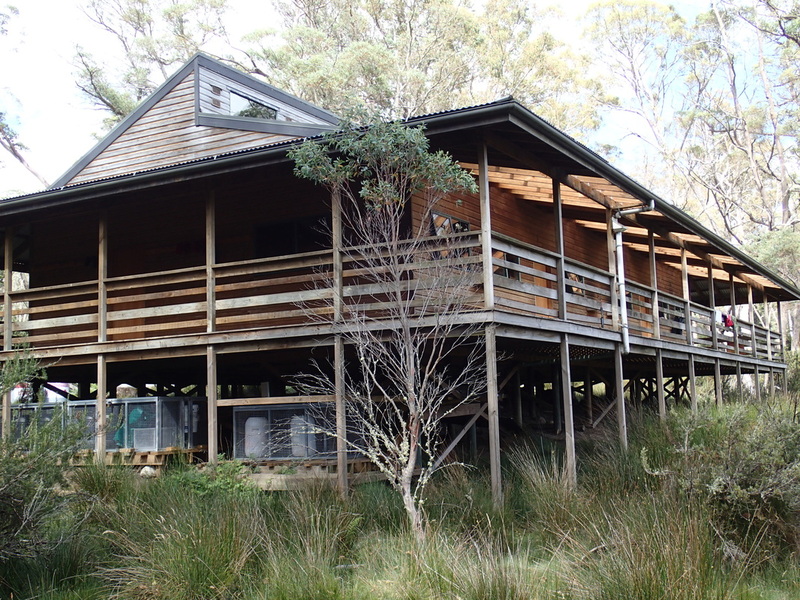 A sidetrip to Old Pelion Hut is a short walk of only 800m - this is the oldest hut in the Park, having been built in 1895, and is for emergency use only!! There is another reason to do this side trip.....to make yourself less stinky. 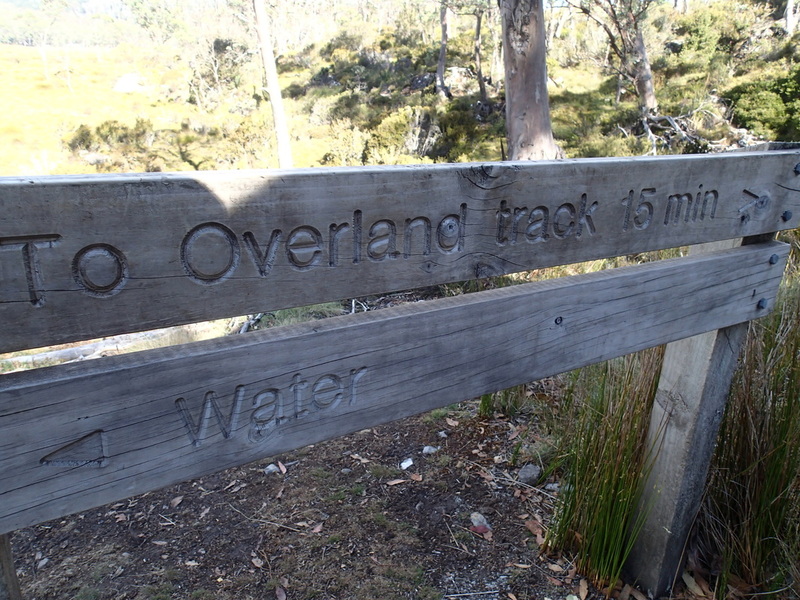 By this stage of the Overland Track, there is a strong chance you are craving a bath or shower. If its been hot, you may really need to wash off that sweat! This is the part of the trip where you can do this. 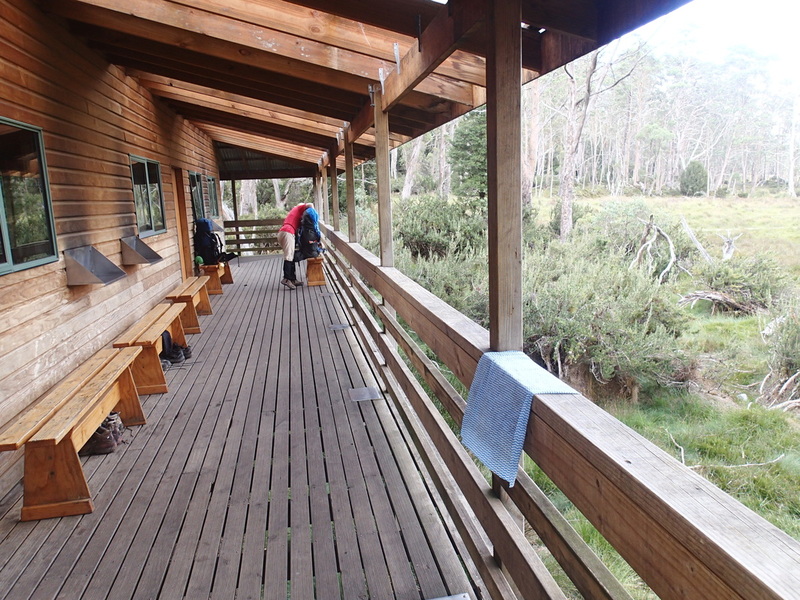 There are no showers or baths, but a waterhole at Old Pelion Hut is a very popular spot to clean up. Everyone on the Track was using this spot! You don't go naked in the waterhole (though I suppose you could), but most people stripped down only to underwear or swimsuits if you had brought them! 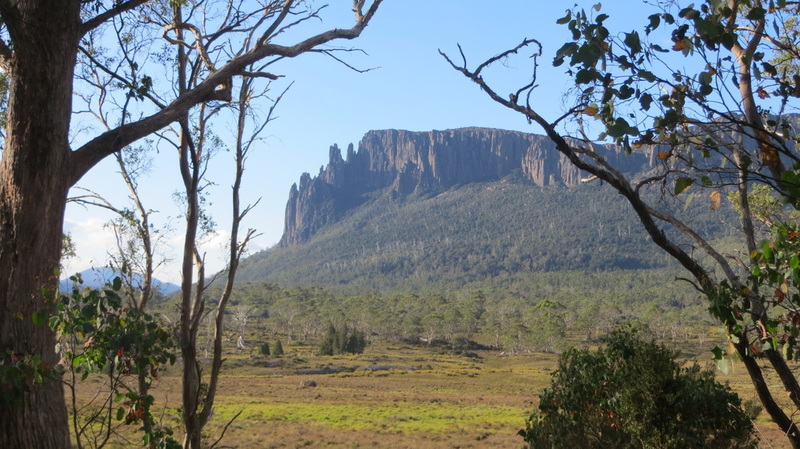 In March when I traveled, the water wasn't that cold; but based on Tasmania's weather, that will vary greatly for every hiker. It is a short distance from your camping spot for that evening, Pelion Hut. 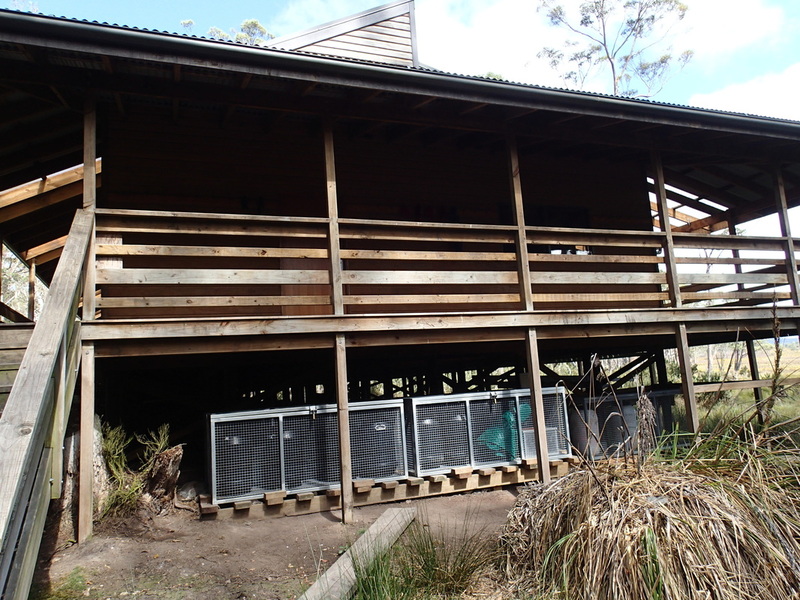 Pelion Hut has one very large hut. It's big, modern and a wide verandah goes around all sides. On the day I was there, it was full, so you have no choice but to camp in tents. As you can see from previous days travels, the huts are very popular and therefore can get quite noisy. 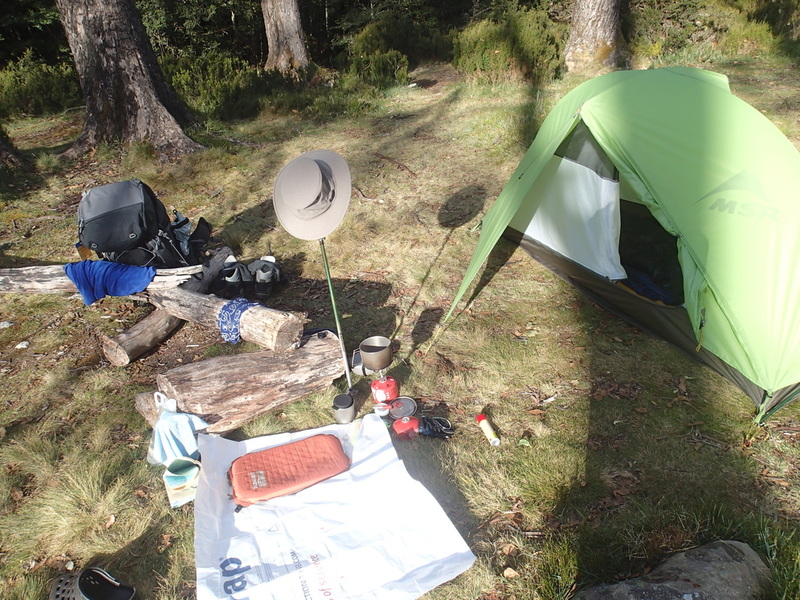 A good tent is a must for this trip if you like your own space (and fresh air). 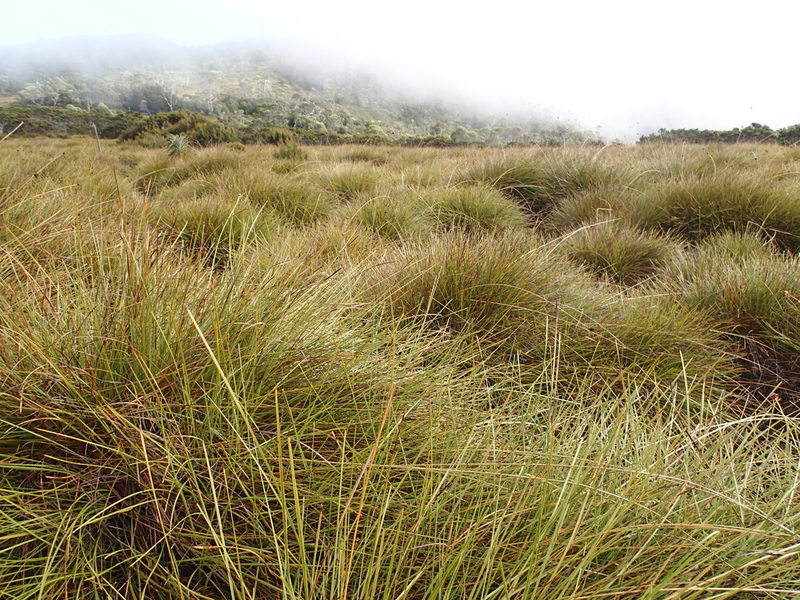 There are campsites that surround the hut, and this is a good location to have a rest day, if you need one. There are also 2 composting toilets. My first night here was in a tent, which I was happy with. Since a storm was expected over night and to simplify the pack-up the next morning, we moved into the hut once everyone had moved on. What was it like? A couple of things you need to know..... Some rooms are like thoroughfares, where people have to walk through one, to get to another. Avoid those if you can. Wear earplugs. Use something to cover your eyes. And it can get noisy - not everyone wants to sleep at the same time! 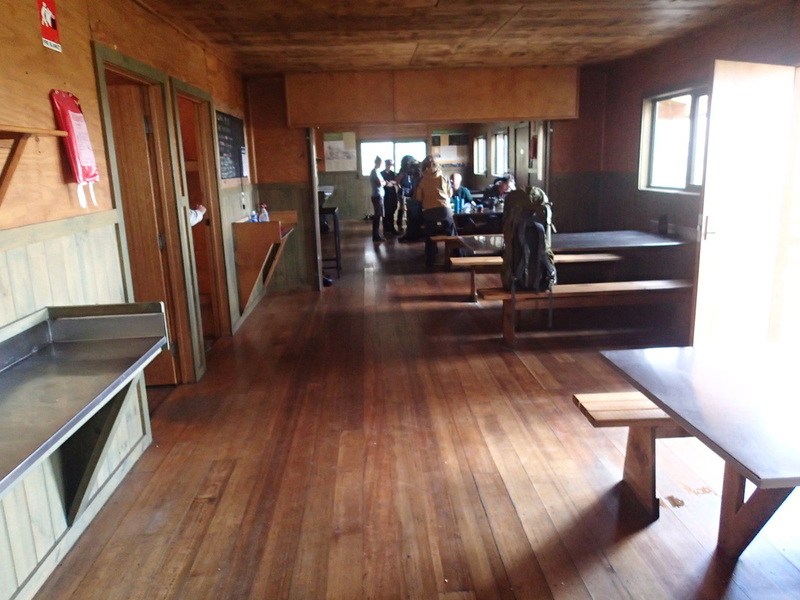 The hut is large and lots of eating areas (though of course, no cooking facilities or wash up areas). 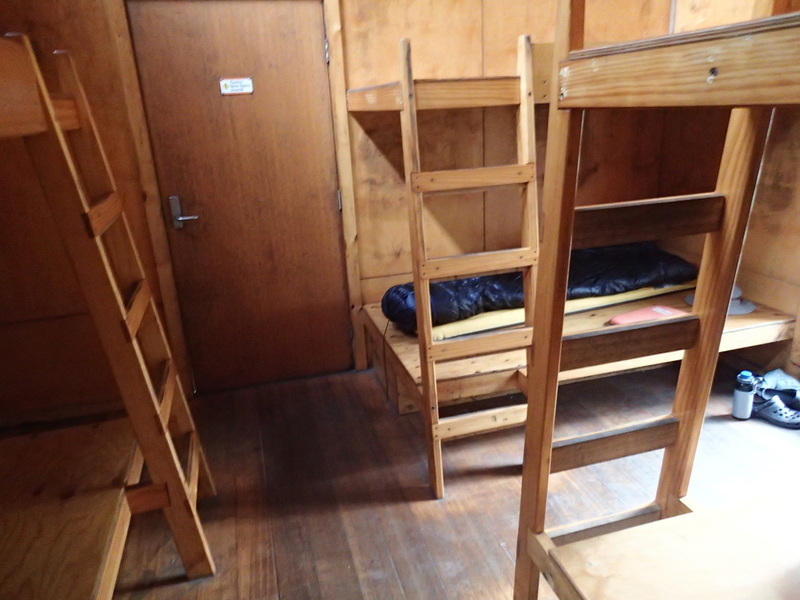 It is a very communal and cheerful place and great way to get to know fellow hikers better at the end of the day. But, tent camping was the preferred option for me at this location and all spots on the Track. Pelion Hut - the black containers hold waste, to be helicoptered out. 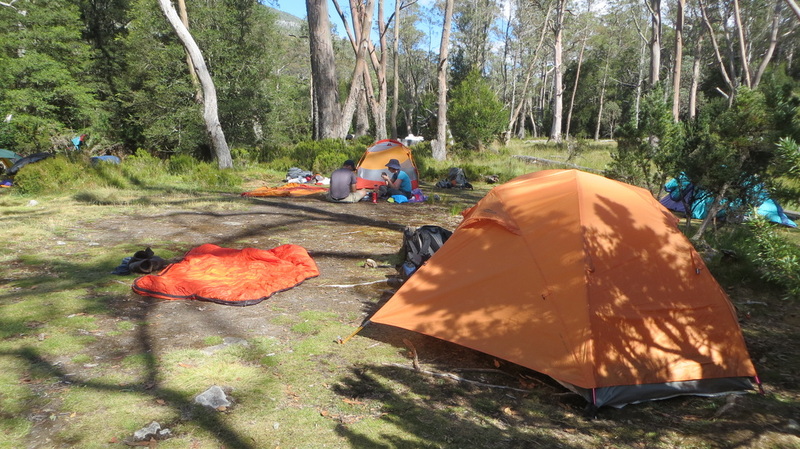 There are numerous platforms around the area, plus camping on grassed areas. This was an area where some campers experienced leeches - but it did seem to depend on the campsite! Where I was, I had no problem with leeches (and this was the case for me, throughout the trip). 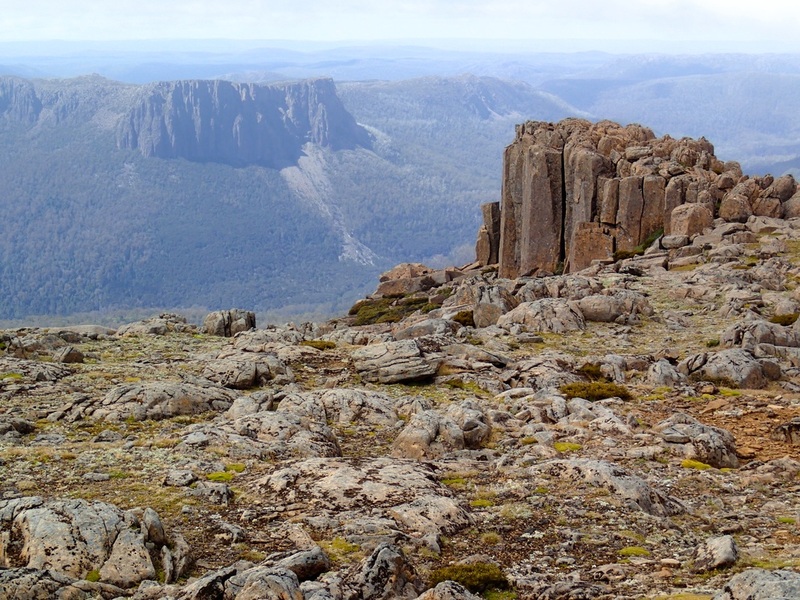 As many hikers use Pelion as more than 1 day rest stop, its the perfect place to tackle Mt Ossa - Tasmania's highest mountain. 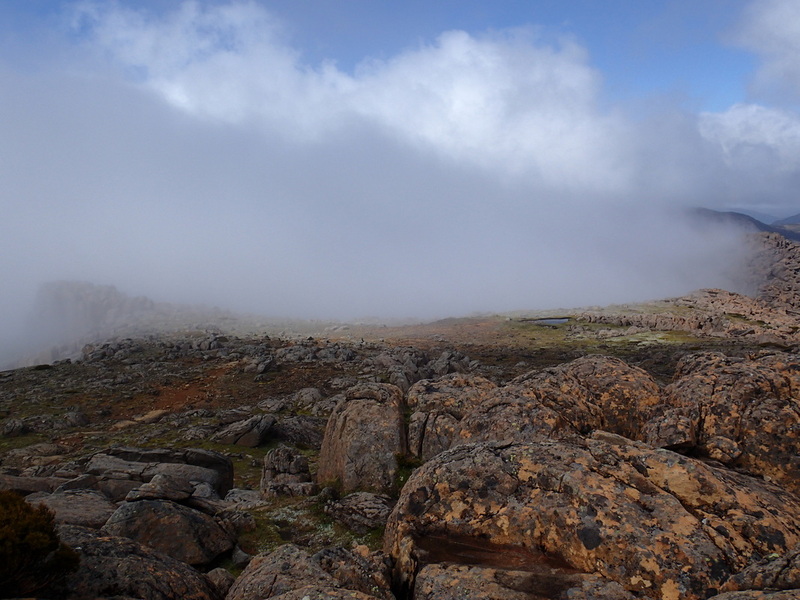 Its a rough and rocky climb to the summit at 1600m, and depending on the weather, you might get to the top and see NOTHING due to cloud cover. That's a long and hard walk to not get a view. 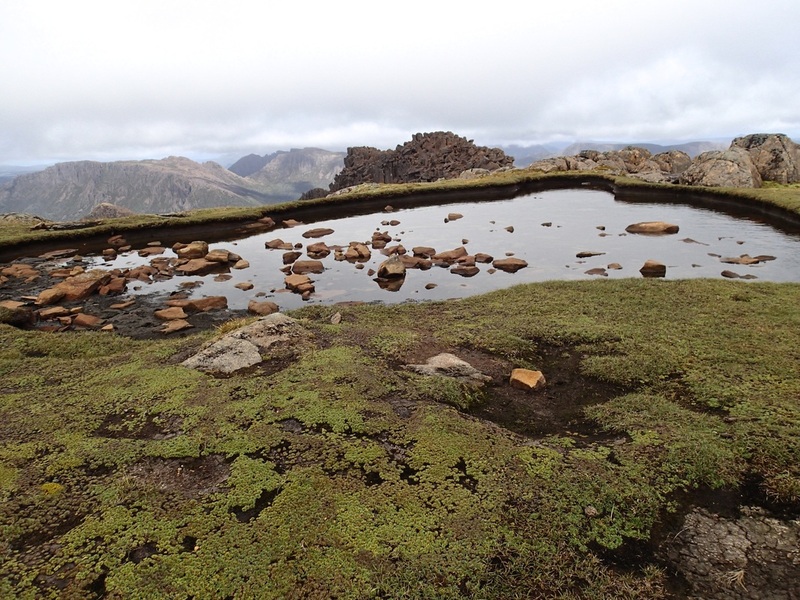 I was lucky - it was cloudy all the way up, but upon reaching the summit, the clouds parted and the scenery of this area, appeared before me. Attempting it in poor weather would not only be a challenge but hazardous. 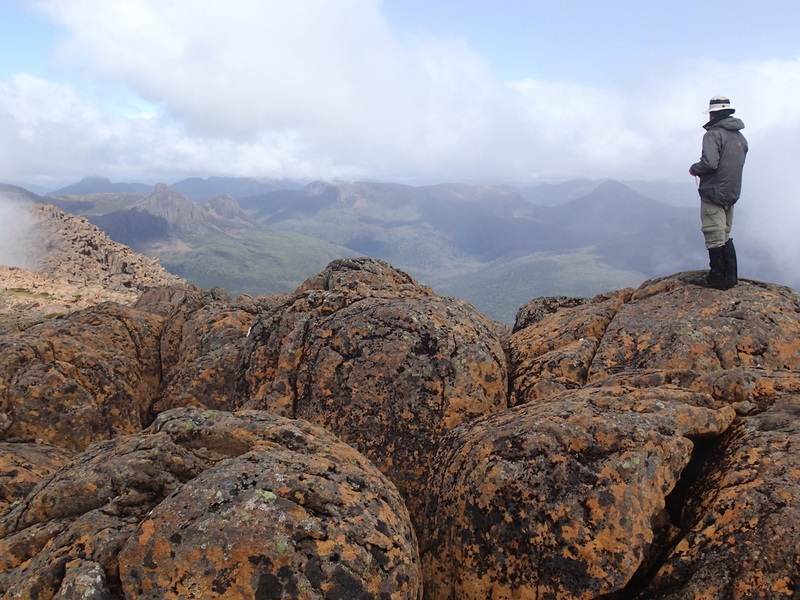 And whilst it is not purely camping related, here is a glimpse into climbing Mt Ossa.